The B612 Foundation unveiled its plans to build, launch, and operate the first privately funded deep space mission – SENTINEL - a space telescope to be placed in orbit around the Sun, ranging up to 170 million miles from Earth, for a mission of discovery and mapping. The Foundation leadership and technical team include some of the most experienced professionals in the world to lead this effort. The B612 Foundation is working with Ball Aerospace, Boulder, CO, which has designed and will be building the Sentinel Infrared (IR) Space Telescope with the same expert team that developed the Spitzer and Kepler Space Telescopes. It will take approximately five years to complete development and testing to be ready for launch in 2017-2018. 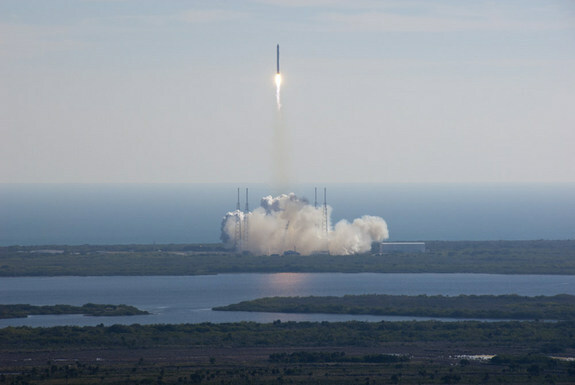 The launch vehicle of choice is the SpaceX Falcon9. In the search for other Earths, the main goal is to find a planet the same size as ours that sits in the habitable zone – the region around a given star where planetary surface temperature would be similar to ours, allowing liquid water to exist. Almost all stars have such a zone. Around a hot bright star it is further out than Earth's own orbit; with a dim star it is further in. But while an Earth-sized world in one of these habitable zones might have seas and rivers, it would look quite different bathed in blue-white or red light. 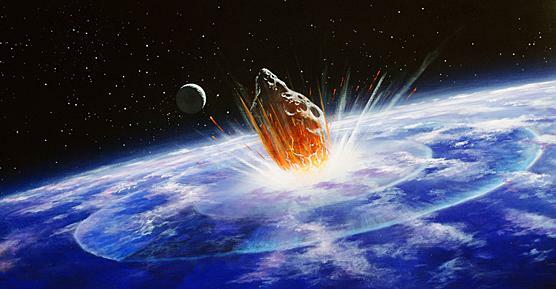 That could affect the development of life. Some planet searches concentrate on stars that are roughly the same size, brightness and colour as our sun. But even these stars tend to have different chemical compositions, suggesting that their planetary systems may be different too. 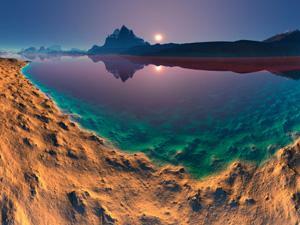 Perhaps the best place to look for another Earth would be in orbit around another sun. 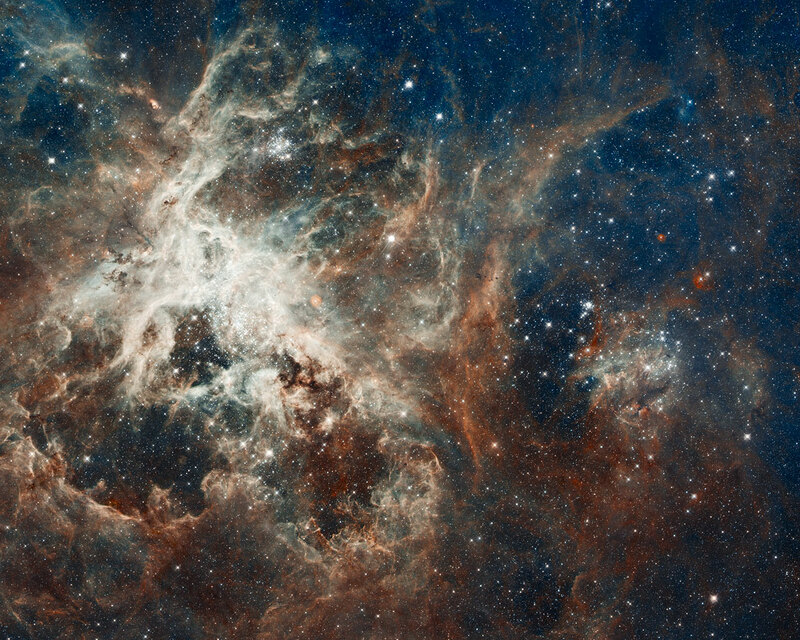 Several million stars are vying for attention in this NASA/ESA Hubble Space Telescope image of a raucous stellar breeding ground in 30 Doradus, located in the heart of the Tarantula nebula. 30 Doradus is the brightest star-forming region in our galactic neighbourhood and home to the most massive stars ever seen. The nebula resides 170 000 light-years away in the Large Magellanic Cloud, a small, satellite galaxy of our Milky Way. No known star-forming region in our galaxy is as large or as prolific as 30 Doradus. The image is being release to celebrate Hubble's 22nd anniversary and comprises one of the largest mosaics ever assembled from Hubble photos and consists of observations taken by Hubble's Wide Field Camera 3 and Advanced Camera for Surveys, combined with observations from the European Southern Observatory's MPG/ESO 2.2-metre telescope that trace the location of glowing hydrogen and oxygen. NASA announced that it will be extending three space-based missions: the Spitzer Space Telescope, Kepler, and the U.S. portion of the European Space Agency's Planck mission. 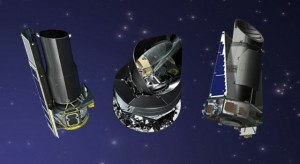 The decision is a result of NASA's 2012 Senior Review of Astrophysics Missions, which also extends another six missions. All three probe deep mysteries of the cosmos and try to answer fundamental questions. NASA extended Spitzer and Kepler for two additional years; and the U.S. portion of Planck, a European Space Agency mission, for one year. The relative sizes of the artist's concepts are not to scale. SpaceX's Falcon 9 Rocket and Dragon Spacecraft lift off from Launch Complex 40 at Cape Canaveral Air Force Station at 10:43 a.m. EST. Elon Musk made history in December 8, 2010 when his company, SpaceX, became the first to launch a privately built space capsule into orbit and return it safely to Earth. But now, the millionaire-turned-space pioneer has an even loftier goal: To be the First Entrepreneur to put an Astronaut in Orbit.